Surat Municipal Corporation has hosted two days Surat Startup Summit on 19th & 20th May 2018, where there were more than 100 startups representatives came from 12 different states for the event. 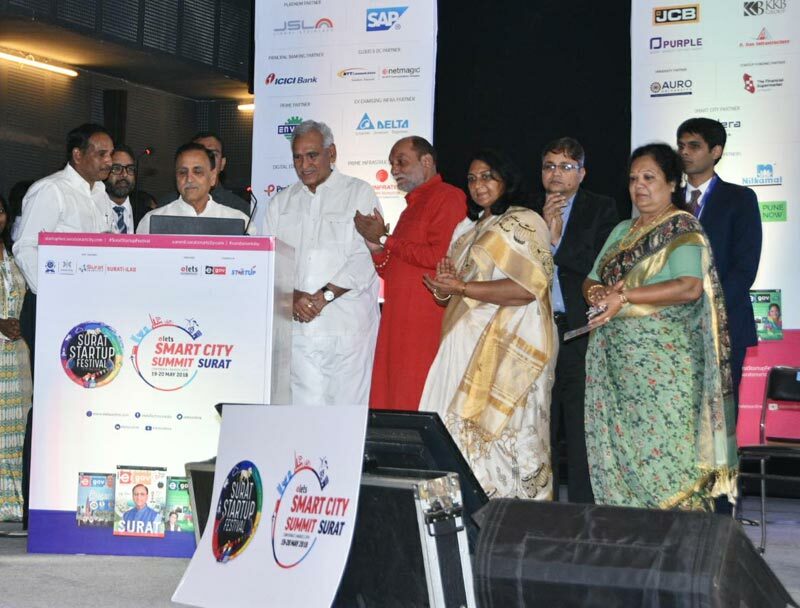 On 20th May 2018, Shri Vijay Rupani, CM of Gujarat launched "Surat Smart City - A Citizen Engagement Portal and Mobile App" developed by Silver Touch Technologies for SMC. The portal provides registration facility for every citizen to participate and share knowledge. It is for public-government partnership and helps citizen to stay updated with the latest happenings about smart city and get the latest project details under Smart City. For Silver Touch, the objective of developing a Surat Smart City Portal and Mobile App was new kind of initiative. We have developed solution based on SMC inputs and its framework for Smart city for involving Citizens to work with Government. The Citizen Engagement portal provides a core infrastructure with giving a decent value to every individual and smart solution. It will make a global city which enhances the economy, protecting the ecology and preserve the identity of it. The event was a significant success as there were more than 50 companies who attended the Surat Smart City Summit.